Yey, I won last weeks contest at the Greeting Farm's Farm Fresh Friday! So nice, I almost never win anything. 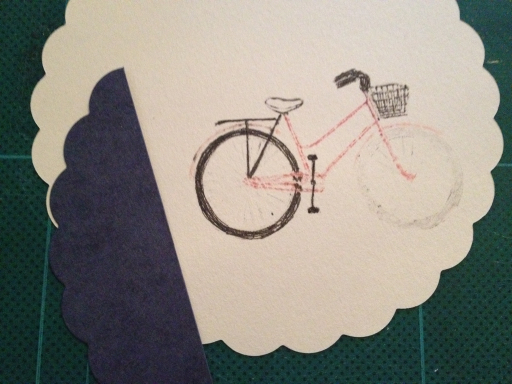 The bike stamp I'm using is from Hot of the Press, and for once I'm making a round card. 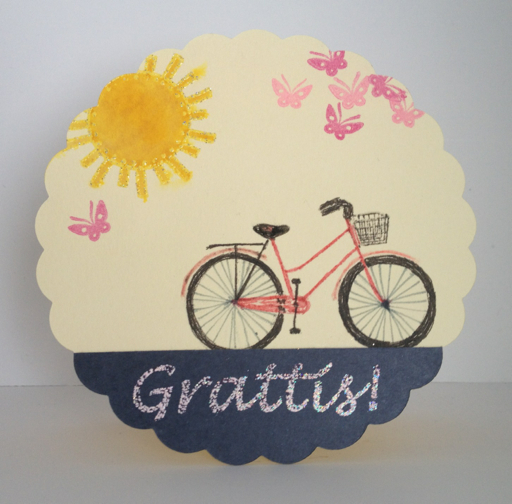 I've previously borrowed the Big Shot from my friend Åsa, and made some scalloped circles that suited well. 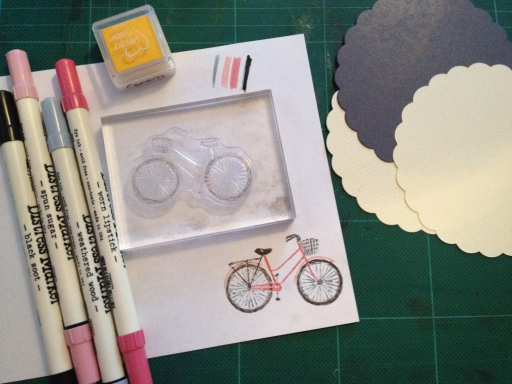 Since I wanted the bike to look like the real one, I'll use pink Distress markers. Did a test stamping first to see if the colors where right, painted directly on the stamp. Since I'll enter the card at Skipping Stones color challenge I'll also add a bit of yellow. I cut the slate colored circle to make the ground for the bike, and then stamped the bike on the right place on the bg. But the print was to pale, so I went over it with the markers once more. 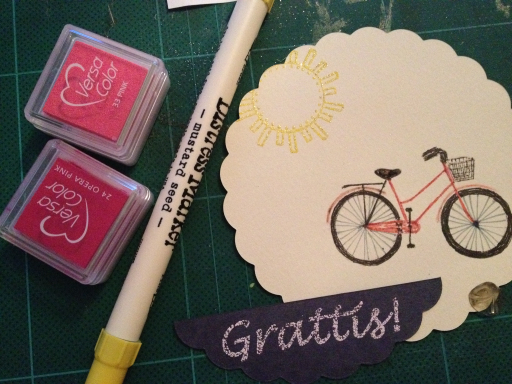 Stamped Grattis with pink and pink embossing, and the sun from Hero Arts Bee Happy with yellow and embossed it with hologram. Filling it with another marker. Finally added some butterflies from HA Good Fortune in two different pink shades. 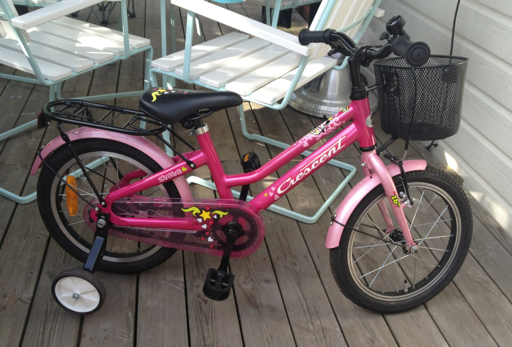 I love the beautiful bike you bought for your daughter and the matching card is lovely! You did an amazing job going over the bike with the markers! This is really sweet! I hope your daughter loves both her card and her bike! Thank you for playing along with us this week at Skipping Stones Design!